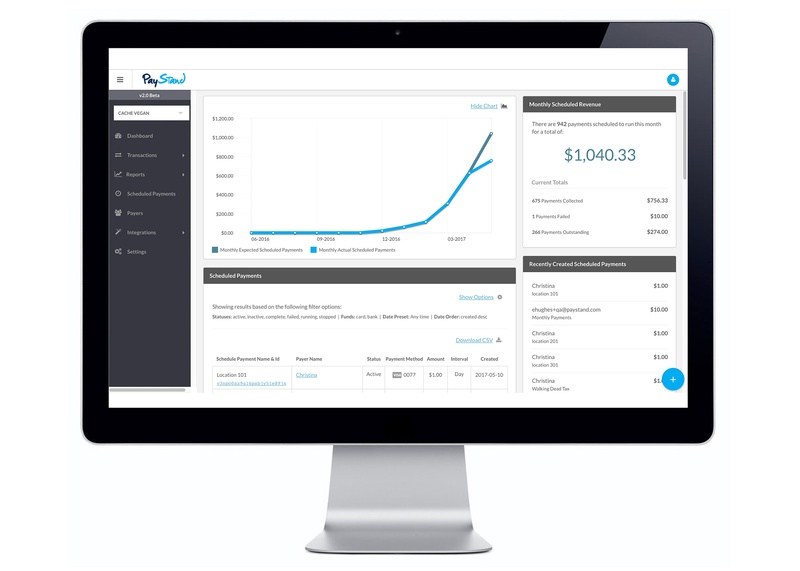 Automatically capture funds for your SaaS or subscription-based service. Using PayStand notifications and webhooks to further manage access and features, including offering free trials, charging on any cycle, and more. Deliver a single payment interface to your customer and from it, manage payments scheduled at any level of sophistication. For instance, property managers seeking not just monthly rent, but also upcoming deposits and immediate application fees. Do you need to charge different amounts at any interval? Easily manage this from our dashboard or programmatically with our APIs. Clients and contracts payments over time is simple with PayStand. With a few clicks, payment schedules can handle installments, limited number of occurrences, and automatic conclusion. 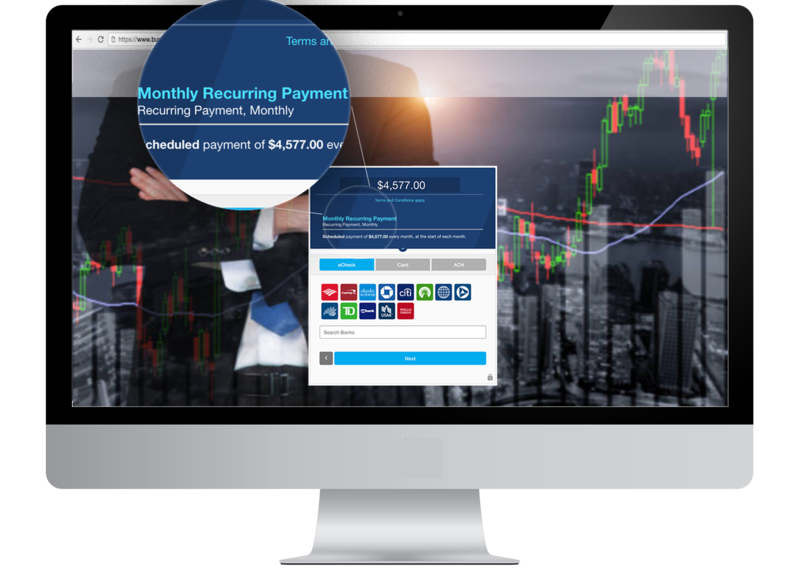 PayStand provides the best recurring payment engine for your business, from capturing your customer's payment information, to automatically charging them on your terms, to revenue recognition and reporting. If digitizing payments is your first step to acquiring more customers and revenue while reducing costs, scheduling automatic payments is the next step. Execute any schedule using cards (credit and debit), eChecks (balance verification using bank login), ACH bank transfers, and more. 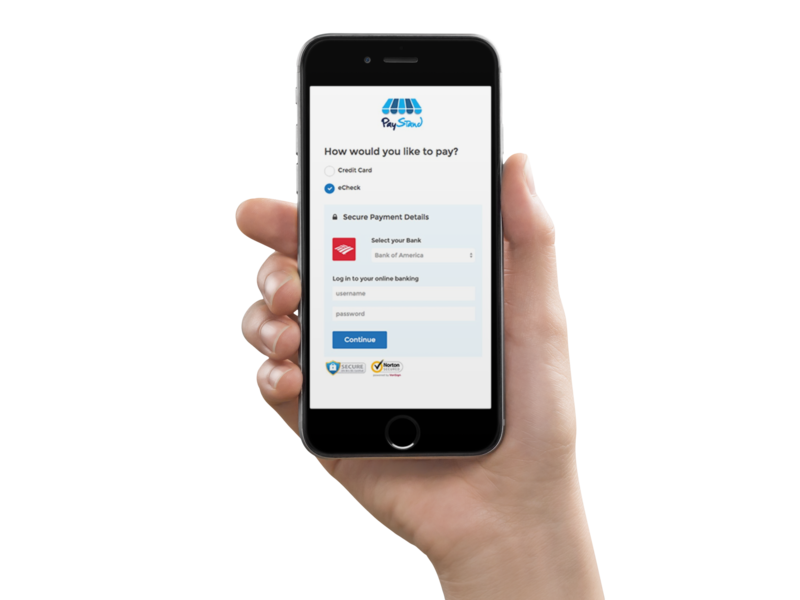 No matter how you deliver your PayStand provided payment portal, it will simultaneously capture your customer's payment information and apply a schedule, automatically. Ongoing subscriptions or set limit terms? Schedules can run indefinitely or for a defined number of intervals. Invoice Number? Customer ID? Attach your business' data to any schedule or payment, and it's a part of it throughout its life cycle. That data will also appear in every webhook or download of that schedule or payment. Your brand is valuable and should be an intrinsic part of your customers' experience. PayStand will work with you to brand the experience as you want. All available funds are transferred to your bank account, daily, with a downloadable report of the transactions included therein. PayStand can adjust deposit schedules to suit your needs. Unlikely other providers (which require a gateway for each payment method), PayStand delivers you all payment rails in one place, and at rates lower than even most specialized gateways. Customers can have any number of scheduled and recurring payments applied to any number of their payment methods. PayStand is a PCI DSS Compliant company and we extend that security throughout all our products. All transactions are stored in a ledger built solely for your business, with roll-ups of all transactions being viewable and downloadable throughout their life cycle. View successful (and failed) payments, customers, deposits, refunds, and more. Your developers can have access to our full suite of OAuth secured, RESTful APIs, allowing for the any level of sophisticated scheduled payments you need.